I’ve been doing a lot of Landscape photography over the last few days. All the freezing ponds and waterfalls have made for some great shots! My dogs are like our children & LOVE to go with me. 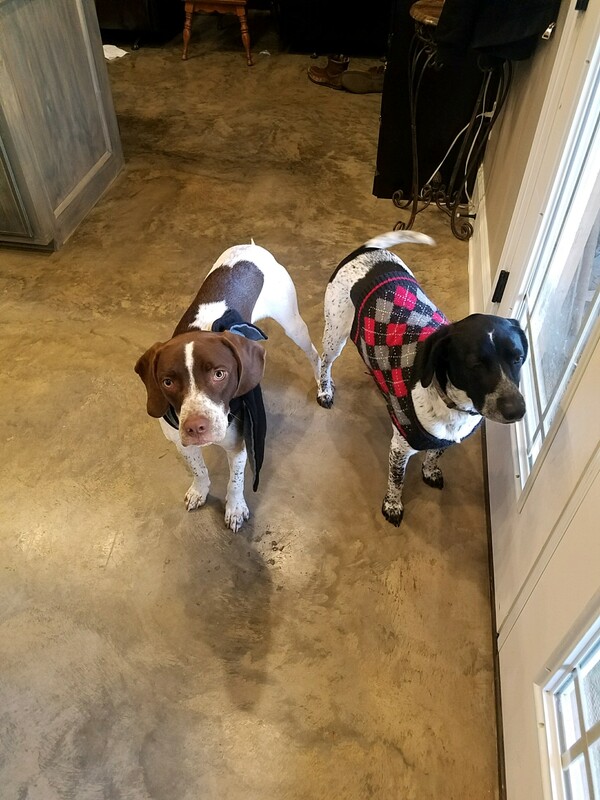 My wife was so worried about them getting too cold outside in this freezing weather so she got sweaters for both of them… At first I thought how ridiculous, but they loved their new cold weather gear and it is COLD! My youngest pup really got his sweater nasty first thing and it had to be taken off & washed. In the meantime another walk was about to happen. 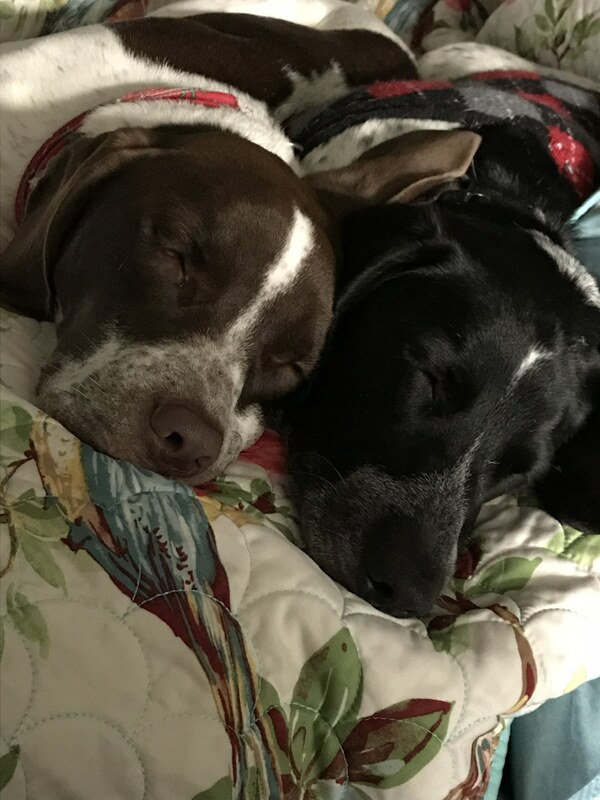 I don’t know about your dogs, but mine are SO jealous of each other and everything! So much so that Rangers not having a sweater was causing a huge fight! I mean a HUGE fight! 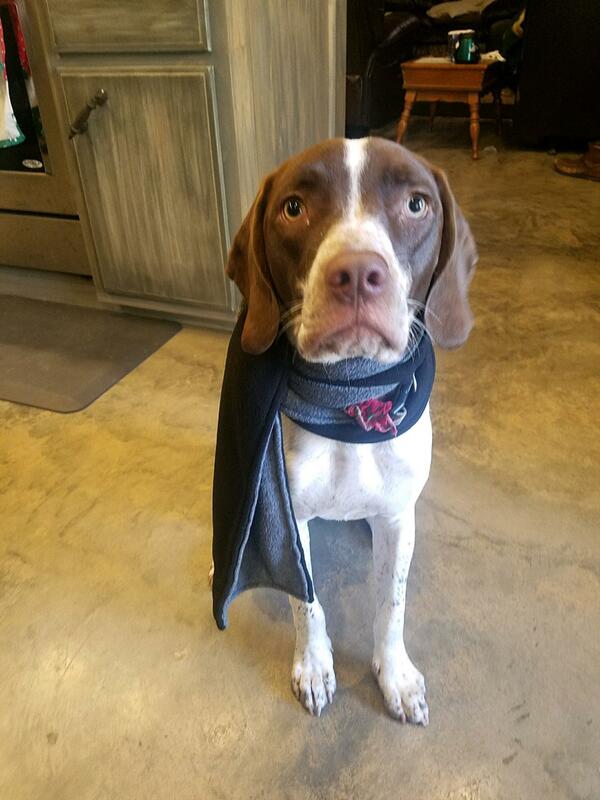 So my wife grabbed a scarf and tied it around Rangers neck to hopefully calm him down – It Worked! 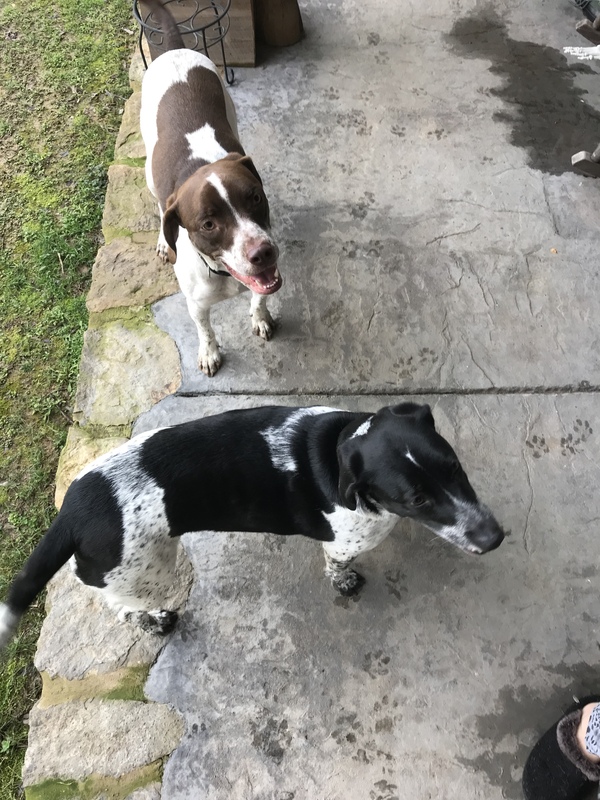 With Scout and Ranger both fully dressed, the walk was back on! LOL! I don’t know if there is a moral to this story, but it sure was cute! Happy Pondering! and Happy New Year!